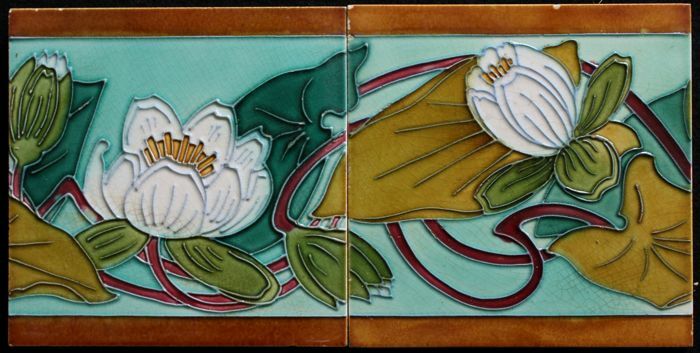 2 rare Art Nouveau tiles with decorations of water lilies in relief. The relief was applied by means of the tube-line technique. Made at the SA Manufactures Ceramiques d'Hemixem, Giliot & Cie, Hemiksem, Belgium. 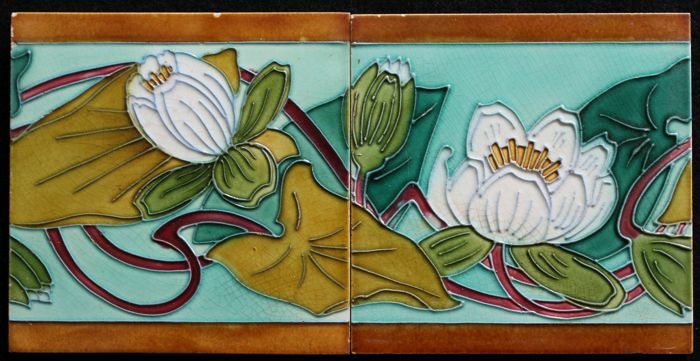 The tiles are 15.3 x 15.3 cm and 1 cm thick. The tiles are in good condition, some minor damage on the edges. 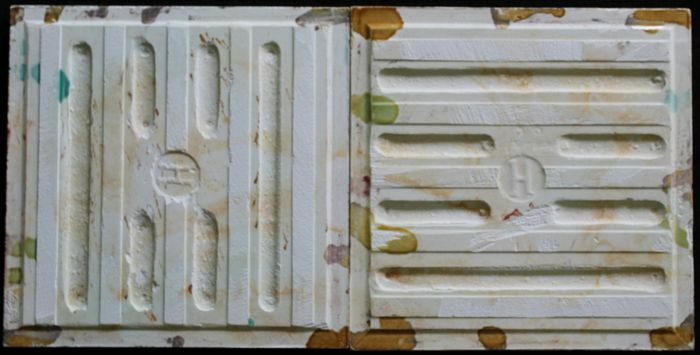 The tile will be packaged with care and the package has a track & trace number.